As one of the leaders in solar energy systems in Perth, WA we get this question often, and that is “so how do solar energy systems actually work”. While many people know in very basic terms that the solar panels convert the sun’s rays into energy to power your home or business, many people do not know much more than this. Many of our customers and potential customers do a lot of research and due diligence before investing in a solar energy system or a potential system installer. As such, we like to pass along our knowledge whenever we can and help educate people on all things solar. Below we will give a simple overview of how a solar energy system works and help you understand some of the more technical aspects involved. When the sun’s rays hit the solar panels, the light or ‘photons’ are absorbed by the solar panel. Of course this is why solar panels are often placed unobstructed on rooftops so that they gain maximum exposure to sunlight. Two core components of a solar panel are both silicon and the conductors. After the ‘photons’ have been absorbed, the solar panels will convert the energy into what is called DC electricity. Once converted into DC electricity, the energy flows into the inverter that will have been installed by an accredited individual. The inverter will convert the DC electricity into AC electricity, which is the type of electricity that is need for residential or commercial premises. So the conversion into AC electricity is essential for the energy to be able to be used on appliances and lighting. If the solar panels convert too much energy, then a solar energy system will take this excess energy and feed it directly back into the grid. In some cases depending on your energy provider, this energy that is returned to the grid can allow you to be given ‘credit’, thus further reducing future bills. 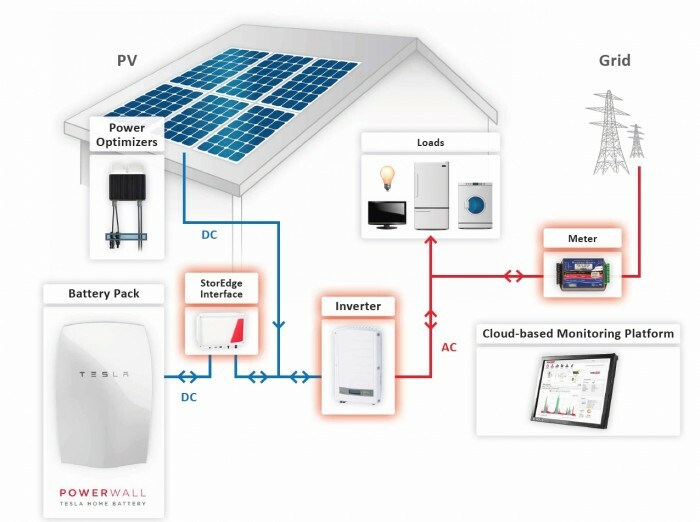 By being connected to the grid, this allows your system to draw additional power from the grid if there is insufficient energy being generated from the solar panels. Fundamentally a solar energy system is designed to ensure that your home or business always has power if required. For more information on how Solar WA can assist you when it comes to solar energy systems, please get in touch with one of our friendly team members.